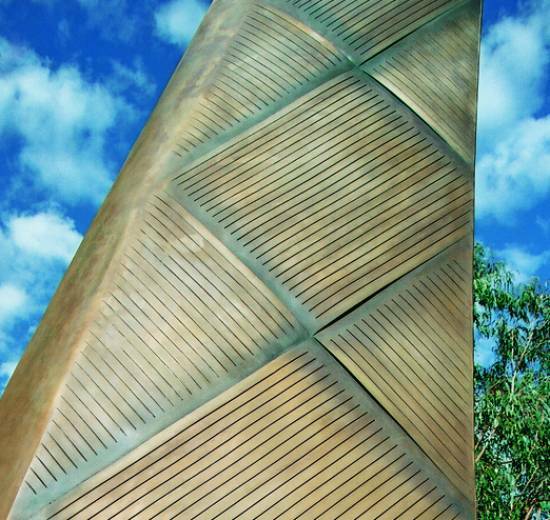 The memorial, which includes two 11-metre high bronze kete handles, expresses remembrance specific to New Zealand’s contemporary national and cultural identity and the New Zealand-Australian relationship by combining Maori and Pakeha symbolic and visual elements. 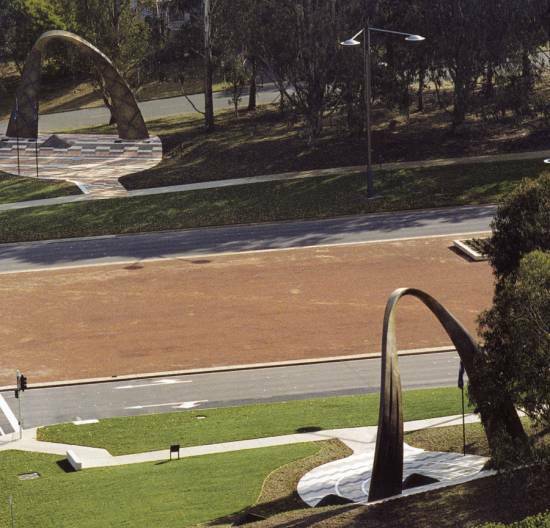 For example, the design is based on a Maori saying expressing universal notions of sharing the load (and sacrifice), and includes major indigenous (Maori and Aboriginal) design elements (paving). Kingsley Baird and Studio of Pacific Architecture assembled an international team including paving design: Daisy Nadjungdanga / Urban Art Projects (Australia) and Toi Maihi / Allen Wihongi (New Zealand); poem: Jenny Bornholdt (New Zealand); and typography, Mission Hall Design (New Zealand).